The journey to beautiful hair starts with the Cleanse and Condition Kit. Gentle Cleanse Shampoo refreshes and removes buildup without stripping your hair of its natural oils, while Balanced Moisture Conditioner elevates your hair to an optimal moisture level. 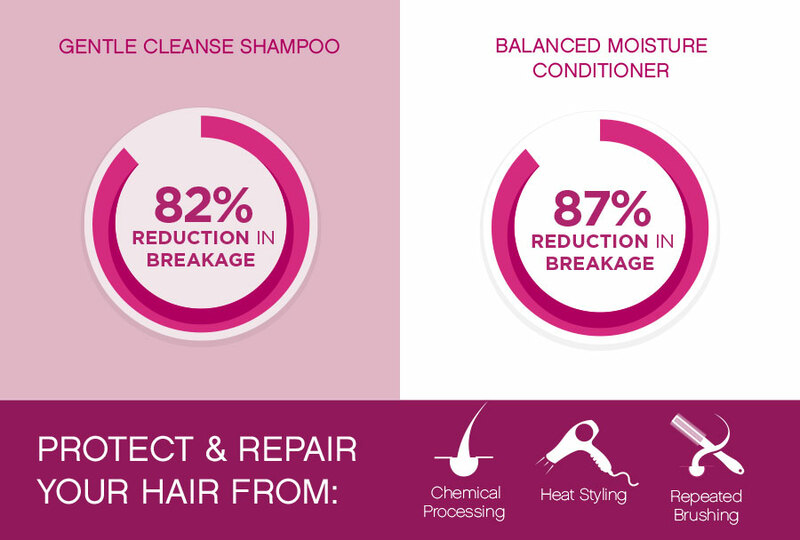 Both products have been proven to reduce breakage, and are suitable for daily use.